According to Wentworth Q1 2015 results the company’s share of Proved + Probable (2P) reserves at the Company’s gas fields in Tanzania were valued at USD 152.9 million after tax at December 31, 2014. The company’s revenue for the quarter reached USD 0.27 million, up 15% from Q1 2014. The company press release indicates that new transnational gas pipeline and processing facilities are nearly complete with delivery of first gas anticipated to occur early in Q3 2015. Drilling operations are expected to be completed during June with the well ready to produce gas in July. Continued construction of field infrastructure to connect the Mnazi Bay and Msimbati gas fields to the new transnational government owned pipeline project. Geoff Bury, Managing Director of the company commented that “the forthcoming cash flow from gas sales to the pipeline will be significant and will be used to fund the Company’s growth initiatives within Tanzania, Mozambique and East Africa”. At March 31, 2015, the Company has cash and cash equivalents of USD 4.43 million to fund its planned exploration and corporate activities prior to the commissioning of the Mtwara to Dar es Salaam gas pipeline in Tanzania which is expected during Q3 2015. 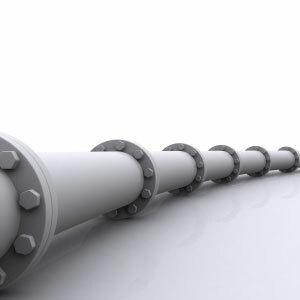 The Tanzania Government sponsored Mtwara to Dar es Salaam Gas Pipeline Project which consists of the construction of two gas processing plants, a 36inch pipeline extending 506 km from Mtwara in the south of Tanzania to the commercial capital, Dar es Salaam, in the north.